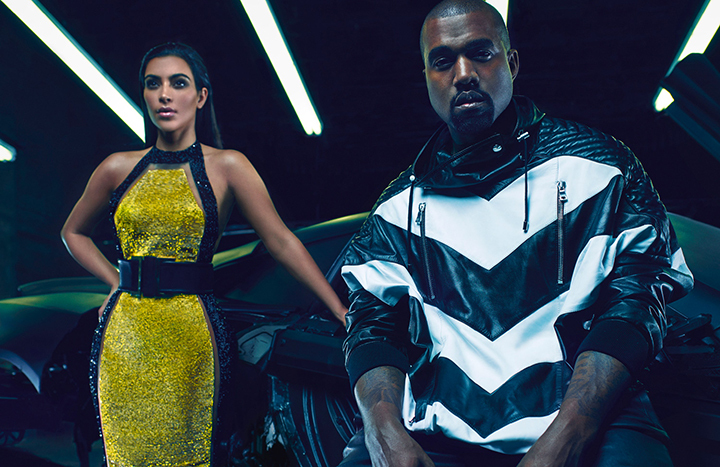 For the new Spring-Summer ’15 campaign Balmain seems to invoke full load of celebrities. Since their creative director, Olivier Rousteing, assured that “Balmain is all about diversity”, the army of powerful supermodels were captured in a real life situations as eating a burger or watching TV. Daring photos were captured by photographer Mario Sorrenti and involved Adriana Lima, Joan Smalls, Rosie Huntington-Whiteley, Isabeli Fontana and Crista Cober. However the biggest excitement was induced by the menswear campaign which involved our well-known couple Kim Kardashian and Kanye West a.k.a. “Kimye”. According to the Rousteing, he wanted to capture the “moment of love” and since the couple is friends with Olivier and they are style icons, he had “an honour to have them in Balmain campaign”. The pictures include hot shots with Kim on the top of sports car as well as the picture of Kim and Kanye nearly kissing, which literally broke the internet on the day she tweeted it. 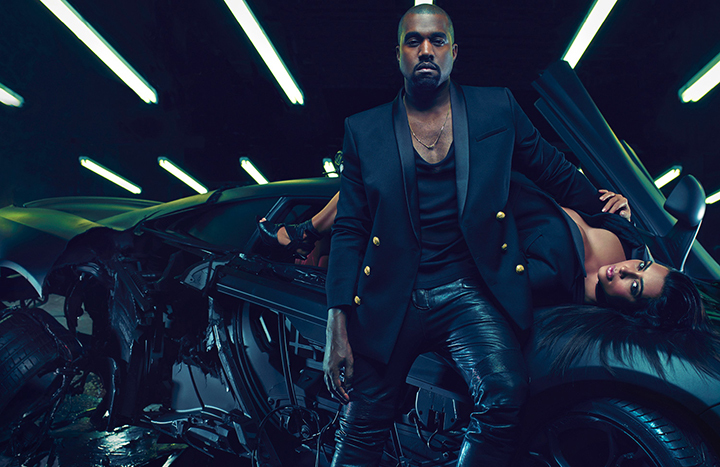 In the photographs Kanye is wearing a tuxedo jacket, also roll-neck leather pullover with golden “bullets”. Overall collection is quite dark, smooth and luxurious with lots of leather details, where you can imagine yourself racing down the motorway. “This is more than a campaign, it expresses something beyond the clothes – it is a celebration of love and friendship”, says Olivier and, after statement like that, what else can we add? Oh come all ye skateboard lovers!